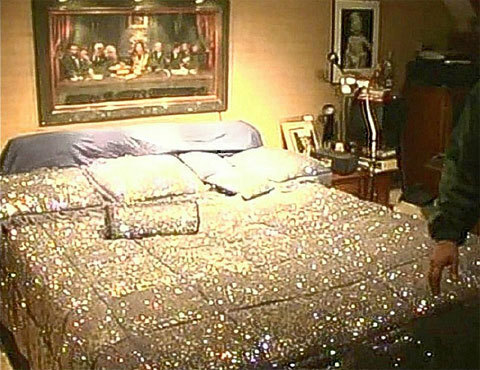 Michael's bedroom in Neverland. Source : . Wallpaper and background images in the Prince Michael Jackson club tagged: michael jackson neverland paris. This Prince Michael Jackson photo contains twin bed, hotel room, bedroom, sleeping room, sleeping accommodation, chamber, and bedchamber. There might also be den. There's picture of Prince in this room!